George Moberly was born into a military family in Bombay, India on 23 December 1914. His father Charles Noel Moberly was an engineer in the Indian Army; rising to the rank of lieutenant colonel he was awarded the Delhi Durbar Medal in 1911, the India Volunteer Force Medal on 15 January 1917, the Volunteer Officers’ Decoration (VD) and by 1921 the Most Eminent Order of the Indian Empire (CIE). George’s mother was Kate (Katty) Charlotte Moberly, nee Fottrell. Born in Ireland in 1876, she married Charles Moberly in Bombay on 8 August 1908. On the 24 April 1915 the infant George arrived at the Port of London with his parents and two older sisters, Hilda and Mildred, on the S.S. Arabia. They made the journey first class and traveled on to their new home, the Priory in Felixstowe, Suffolk. 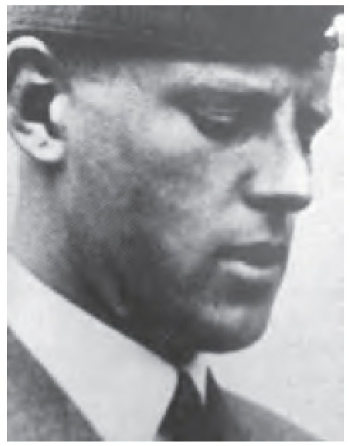 Educated at Ampleforth School in Yorkshire, where he was a keen and accomplished rugby player, George subsequently followed in his father’s footsteps and worked as an engineer, securing a position with the Ipswich company Ransomes, Sims & Jefferies Ltd. He learned to fly at Ipswich Airport in Suffolk and gained his Royal Aero Club certificate on 17 July 1938 in a Miles Magister Gipsy Major 120 aircraft. 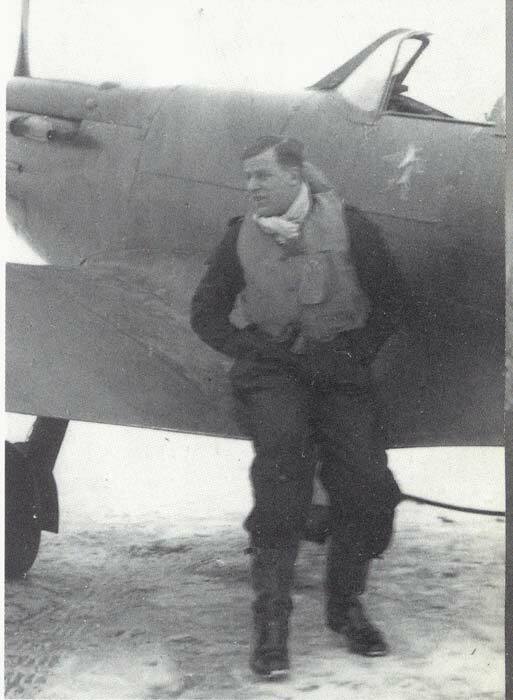 George received his commission in the Auxiliary Air Force on 19 July 1938, joining 609 Squadron. On 1 November he transferred to the newly formed 616 (South Yorkshire) Squadron, being one of the first two officers to join after the founding of the Squadron by the Earl of Lincoln. 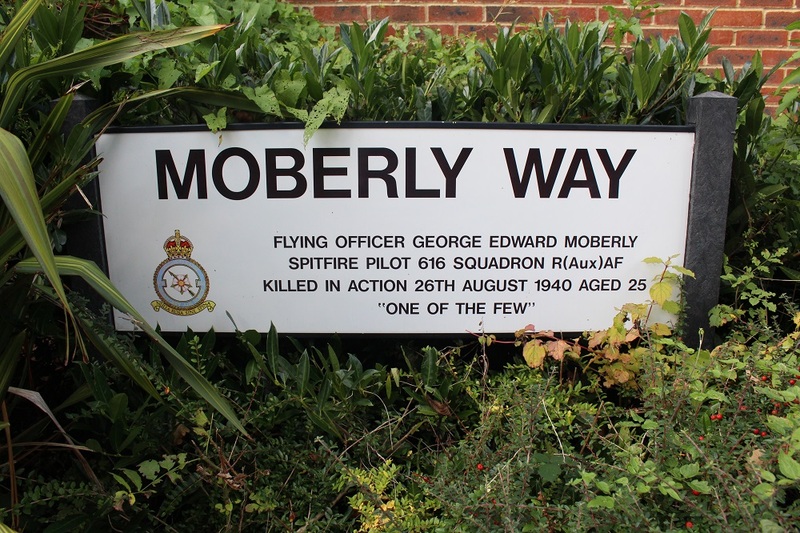 Pilot Officer Moberly was embodied, with his Squadron, into the RAF on 24 August 1939. On 19 January 1940 he was promoted to the rank of flying officer (Gazetted 2 February). In action over Dunkirk in a Spitfire Mk 1 on morning patrol on 28 May 1940, George claimed a Messerschmitt 109 (Bf109) destroyed. At the time he was leading 616’s Green Section, flying as Green 1. 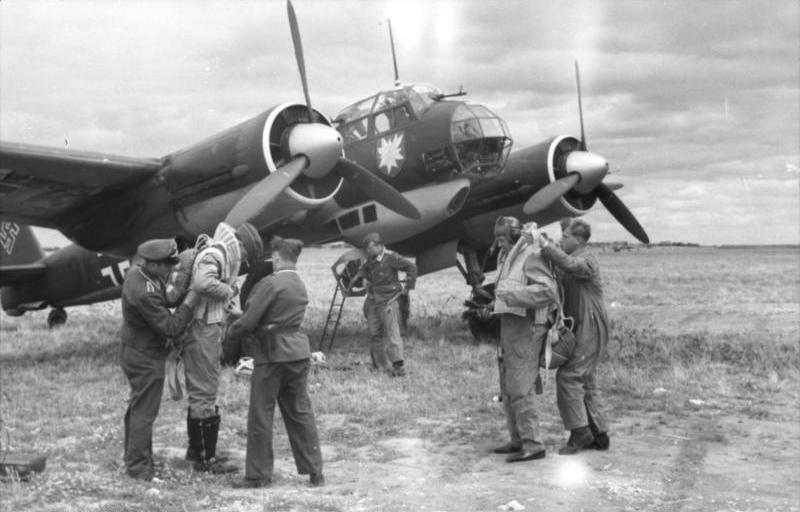 On 1 June he claimed a Ju88 destroyed on morning patrol. 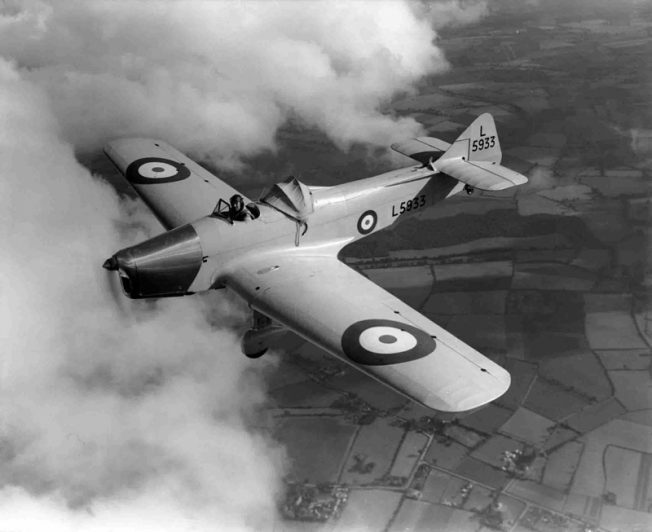 Prior to the Battle of Britain George claimed a shared Dornier 17 on 3 July and then, during the Battle, a Junkers 88 on the afternoon of 15 August, to the east of Flamborough Head, Yorkshire, and a Bf109 on the 25th. The next day George was killed in combat off the coast of Dover, Kent when his Spitfire N3275 was shot down into the sea by a Bf109. He did not bale out but his body was subsequently recovered and George’s grave can be found in St. Mary’s Churchyard, Caterham-on-the-Hill, Surrey. Probate in George’s estate was granted to his father, Charles Noel Moberly (company director) in the sum of £451 13s 5d. 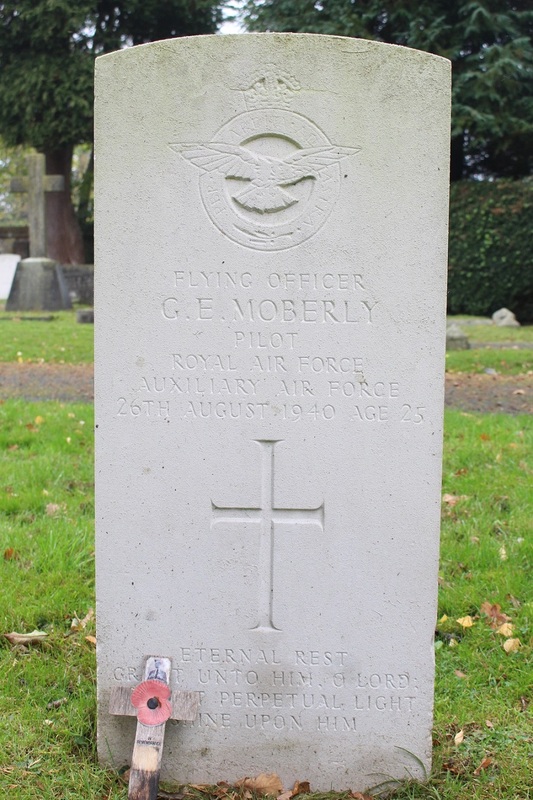 “Death on active service during August ‘as a result of air operations’ of Flying Officer George Edward Moberly, Auxilary Air Force is announced.